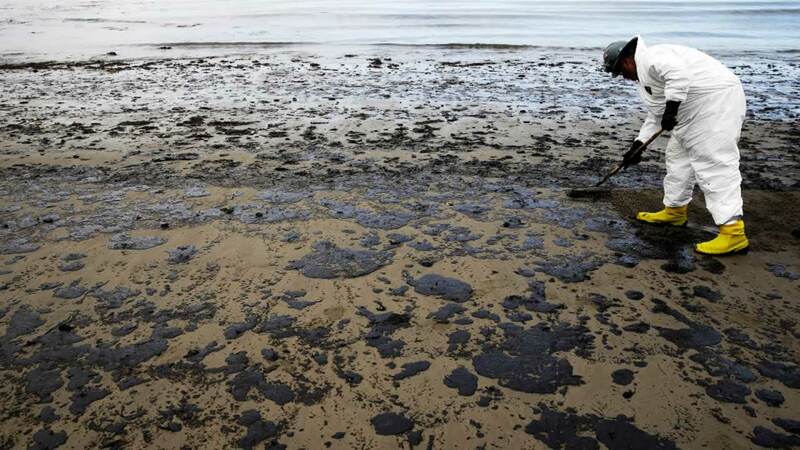 LOS ANGELES -- Plains All American Pipeline says a California grand jury has indicted the company and one of its employees in connection with a pipeline break that spilled more than 100,000 gallons of crude oil along the Santa Barbara County coast and into the ocean. Plains says in a statement Tuesday that the indictment contains 46 charges of state law violations. The company says the spill was an accident and believes no criminal behavior occurred. The May 19, 2015, rupture fouled Refugio State Beach, and a slick spread across miles of ocean. Tar balls were found more than 100 miles away on Los Angeles County beaches. The spill closed coastal campgrounds and beaches and has been blamed for the deaths of more than 100 marine mammals, mostly sea lions, and nearly 200 birds.